How many people can be played for at an event? 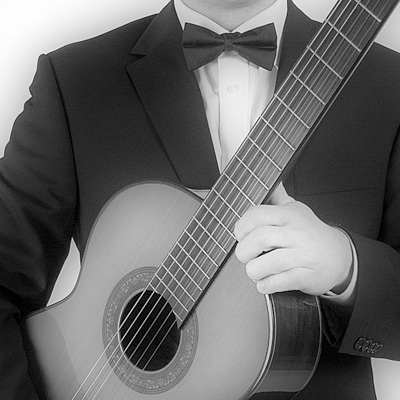 For small indoor events of around ten people, an acoustic classical guitar is generally used. 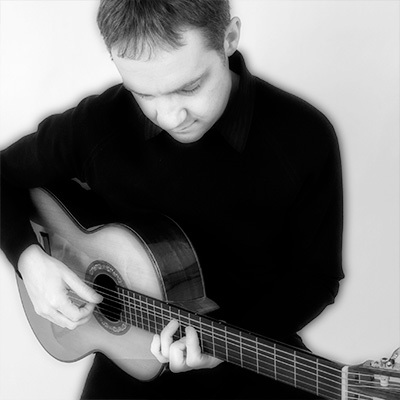 With larger groups, the acoustic guitar can easily become inaudible so a small guitar amplifier and electric nylon string guitar is used. Well over one hundred guests can be catered to with this latter option, both indoors or outdoors. Can an amplified guitar be too intrusive? No, as the aim is not to drown out guests’s discussions but to provide live background music. 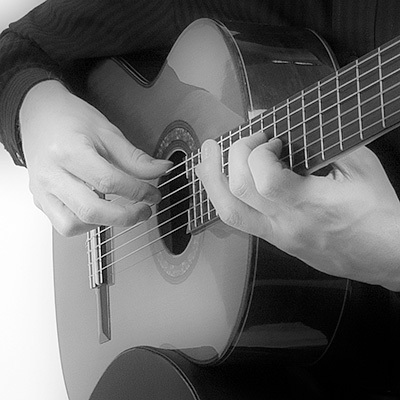 If the guitar playing is amplified, it is easily controlled so can be lowered or increased in volume depending on the performance requirements and/or the host’s directions. Ultimately, the music is to be enjoyed and not to overwhelm! Can an outdoor only event be catered for? Yes, as long as there is a power supply nearby for the amplifier and a small relatively flat area is available to be seated, an outdoor event is welcomed. Of course, if it’s raining and there’s no cover (preferred by the performer, imperative for the electricity!) new alternatives would need to be considered. Although based in the south west, events have occurred throughout the UK. Usually a car is used so distance isn’t a problem. Several weddings have occurred abroad too, so the best option is to contact me (the contact page is linked in the menu at the top right of the website). Do you accommodate music requests? There is a considerable amount of music to chose from already and is often updated (see repertoire page). That said, specific requests have been accommodated provided there’s enough preparation time. If your music preferences aren’t all possible, suitable alternatives will be offered. What if I wanted you to play for a smaller celebration? Although many bookings are for large occasions requiring formal attire, smaller more informal settings are welcomed also. The aim is to always match the event with the right music and presentation.